Council leaders are considering alternative proposals that could return some form of bus service to an Aberdeenshire village. A north-east MP has renewed calls to improve safety on a “terrifying” crossing used by schoolchildren. A motorist was caught speeding at 96mph today - just hours after the newest section of the A90 was opened to traffic. A north-east pensioner claims to have been left a virtual prisoner in her own home after her local bus stop was taken away as a result of the AWPR works. Police were forced to issue a warning to motorists after thick plumes of smoke from a grass fire obscured vision on the A90. 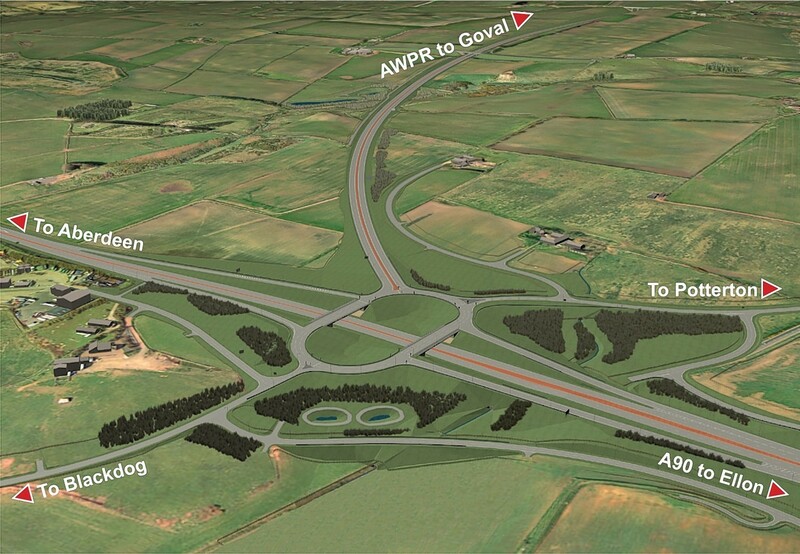 A large section of the A90 will be renamed and brought under council control next year. Police are appealing for witnesses after a vehicle failed to stop and report a collision near Aberdeen. It happened on the A90 at the flyover for Blackdog between 3am and 5am today. Anyone with any information about the incident is asked to call police on 101. A whistleblower sacked after raising concerns about drug abuse and significant health and safety breaches on a major construction project fell victim to “character assassination”, a tribunal has ruled. Fresh concerns have been sparked over health and safety practices at the AWPR after two major incidents over the weekend. AWPR workers have been accused of misdirecting traffic on to an unfinished section of the road, causing one car to crash. A whistleblower has claimed he was sacked by a north-east energy firm after he reported a child had driven a digger on a major construction site and workers were taking drugs. Motorists should expect delays on a busy north-east road this weekend as traffic management systems are put in place. A pensioner claims her village is "under siege" by convoys of heavy goods lorries rolling in and out of construction sites in the area. A multimillion-pound transformation of a village on the outskirts of Aberdeen has been backed by planners. A £150million retail and housing development on the outskirts of Aberdeen is expected to get its final seal of approval next week. Councillors have unanimously backed a £150million housing and retail development - despite concerns it will hit traders in surrounding north-east towns. Council planners have backed a £150million housing and retail development - despite concerns it will hit traders in surrounding north-east towns. Motorists on a busy north-east road will face disruption next week as a result of essential safety works. A retail study has warned trade in north-east towns and Aberdeen city centre will be hit if two major developments are approved. Four teenagers have been charged in connection with a high-speed chase which left three police cars and five other vehicles damaged. An Aberdeenshire community has banded together to brighten up the winter months by creating a pint-sized edible Christmas village. Retail experts have warned a £150million development could have a "significant" effect on trade in neighbouring north-east towns.